Welcome to the well known Panama City Beach! A city in Bay County, Florida along the coast! If you want a fun vacation, this is a no-brainer. Panama City Beach is known for its beautiful white sandy beaches and is considered one of the most beautiful beaches in the world! Panama City is full of awesome local attractions and cool restaurants that you can't find anywhere else. When you book with Emerald Coast by Owner, you get to enjoy all of these cool activities then come back to your luxurious home or condo you booked with us! We provide you with convenient locations so you can take full advantage of everything you want to do on your trip. Some of these awesome attractions are the Gulf World Marine Park, where you can explore tropical gardens with shark feedings and dolphin and parrot shows. Also take a trip to shipwreck island, a nearby amusement park in Panama City Beach. 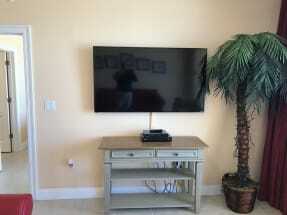 Emerald Coast by Owner brings you the best in Vacation Properties for Rent in the Panama City Beach Area and more! Browse our Panama City Beach, FL listings below and book your next trip today! ECBYO does not have any of the service fees that other large listing companies charge. 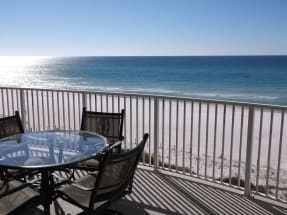 If you have any questions contact the property owners directly, enjoy your stay at the beautiful Panama City Beach, FL!